Documentary Fortnight, an eclectic annual film series that opens tonight (15 February) at the Museum of Modern Art in New York, includes a range of offerings, from crowd pleasers to experimental works. The series opens with Habaneros, a salute to Cuba by the British documentarian Julien Temple, who is best known for—but not limited to—his films on the music scene. This time, Temple takes his audience through centuries of the island’s history, from conquest and slavery to the twilight of Communism and, to Temple’s dismay, the threat of commercial exploitation. 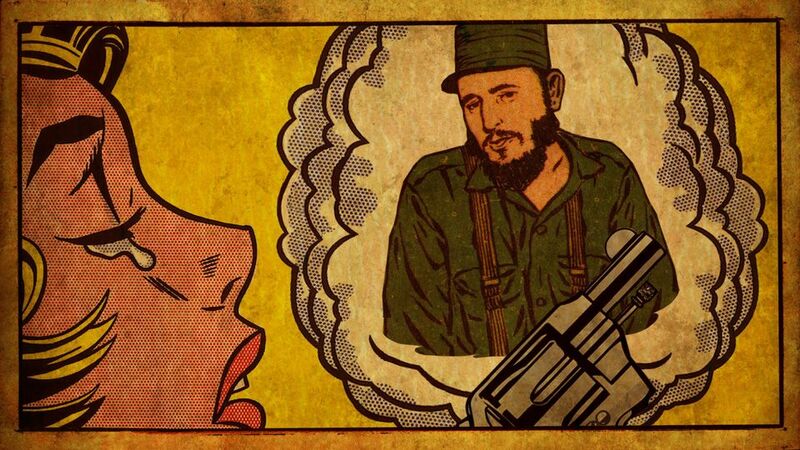 There are plenty of documentaries on Cuba, including one centred on the Rolling Stones’ visit there, but Habaneros looks to the future, a matter of uncertainty and anxiety, even to Cubans who might have wanted to flee under Fidel Castro. True to form, Temple takes his audience through historical periods with music as well as archival images and an immersion in the environments and the people who live there. They have survived Castro, but few whom Temple encounters want Havana to be Cleveland or Cancun. Like Habaneros, The Long Season by Leonard Retel Helmrich premiered at IDFA, the annual documentary mega-festival in Amsterdam in November. The Long Season follows a group of refugees from Raqqa in Syria who were relocated to a camp in the Bakaa Valley of Lebanon, where they are doing farm work. The director is known for his patient examinations of everyday lives building his films around a long, single take, which he calls Single Shot Cinema. He applied that approach to a trilogy of films set over 12 years in the slums of Jakarta, Indonesia. In The Long Season, the camera follows the refugees, who have arrived with nothing, in the fields and even in the tents that are now their homes. They did not end up with much, but at least they have their lives, as one man explains. 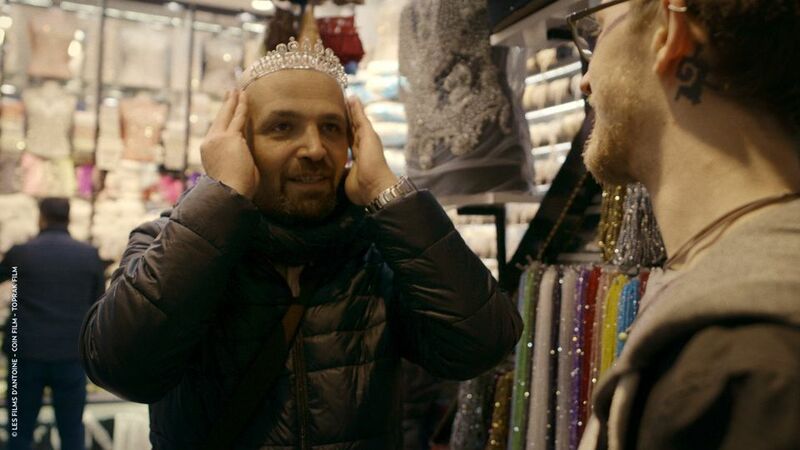 Set in the same troubled region—with anything but a standard take on its politics—is the film Mr Gay Syria by the Turkish director Ayse Toprak. In this case, the refugees he follows are two gay Syrian men. One is a barber in Istanbul who conceals his gay life from his wife and children in the suburbs. The other is an LGBT activist who moves between Istanbul and Berlin. Their paths cross because the two men want to enter a beauty contest, Mr Gay World, which seems anything but a shelter for a refugee who just wants to blend in. As their stories unfold, so do the challenges and frequent tragedies of being gay in conservative families and under Isis. Humanity emerges from the camaraderie of gay men in exile and the burlesque of finding one’s way into a beauty contest against all odds. From Morocco comes Sans Bruit, les Figurants du Desert (Noiseless, the Extras of the Desert), by Gilles Lepore, Michal Madracki and Maciej Madracki. The French-Polish co-production borrows its name from Ouarzazate, a town in Morocco, whose name, translated from the Berber language, means noiseless. It is in Ouarzazate that Hollywood crews shoot high-budget commercial films, with locals serving as an under-employed movie proletariat who act out Hollywood’s stereotypes about the rest of the world. Sans Bruit is a revelatory film about movie-making and the industrialisation of cheap labour and locations. Audiences are sure to be struck by one “actress”, the untrained Malika, whose specialty is crying. Now in her 60s, she has been in 200 films, deploying real emotions in the service of Hollywood fantasies. One of the American documentaries not to miss is Black Memorabilia by Chico Colvard. In China, Covard finds a country awash in mocking images of American blacks, with no African American around to provide a reality check. 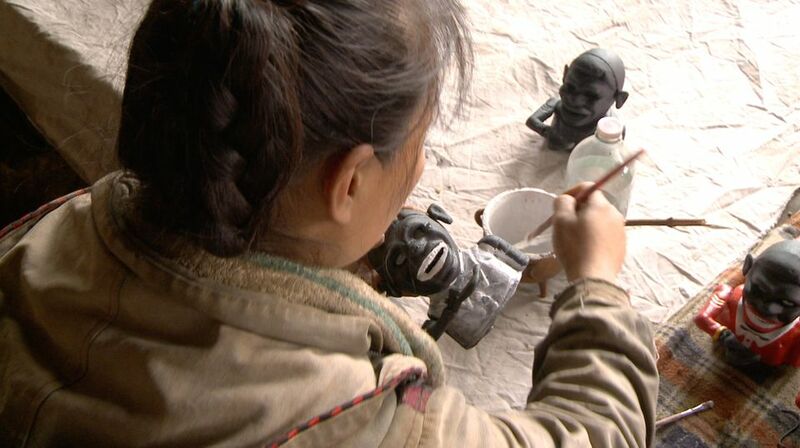 He visits a woman iron-worker in the remote countryside who, by hand, with individual moulds, makes smiling black figures wearing bow-ties for the US market. She learns their value when she sees them on eBay. Back in the American South, he meets dealers who earn their living selling valuable kitsch. “I like to use our artefacts to take the wall down between the races,” says one white woman from Kentucky who sells black memorabilia. It is a growing market of images that artists of colour whom Covard interviews are trying to reclaim by weaponising historical stereotypes.